Ivy H. Smith Company, LLC. :: Specialized contractor providing a variety of services to the telecommunications, power and cable television industries. 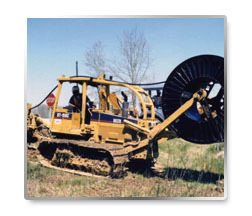 Ivy provides a full array of both underground and aerial Outside Plant Construction Services including the placement and splicing of fiber, copper and coax cables; trenching, pole and anchor placement, conduit and manhole construction and cabinet placement. Ivy performs power distribution construction throughout the Southeast and is an expert at joint utility installation including services for telephone, power, CATV and gas companies. 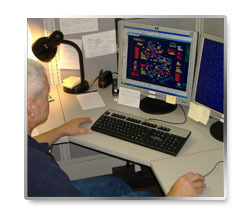 Ivy provides meter reading services to one of the largest electrical coops. in Florida. Ivy provides outside plant engineers and drafters to telecommunication providers. 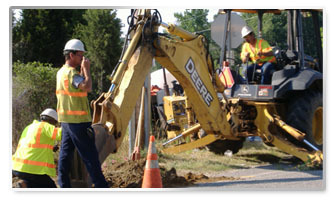 Our Engineering team designs underground, aerial and buried fiber optic, copper and coax cable systems. We perform make-ready studies, strand mapping, field walk-out, computer-aided design and drafting, and fiber cable routing and design. Our Engineering group gives us the ability to offer turnkey design/ build services for virtually any communications project. Ivy provides a staff of highly trained field personnel with technical expertise required to install, test and commission today’s state-of-the-art digital transmission systems and ancillary products. Ivy now has the resources to provide full turnkey services of DLE cabinets of any manufacturer that includes assemble, wiring, testing, site preparation and turn up of the most sophisticated electronics, including IPTV. We also provide full engineer, furnish and install services for virtually any telecommunications project. ©2010 Ivy H. Smith Company, LLC. All Rights Reserved.